Frog Drinks – Get Inspired. Network. Frog Drinks. Get Inspired. Network. Frog Drinks. Frog Drinks is a community driven meetup event dedicated to professional networking for individuals who work for nonprofit organizations, academia, governmental agencies and eco-conscious companies involved in environmental stewardship and wildlife conservation. Frog Drinks is held on the first Thursday of every month at First Magnitude Brewing Company in Gainesville, FL. Each month an organization will be featured at Frog Drinks and an individual from that organization will briefly present what issues they are working on locally and internationally and how the community can support their cause. The overall goal of Frog Drinks is to connect working professionals who share a vision in order to collectively strengthen the environmental and wildlife conservation community in north Florida and surrounding areas. Frog Drinks is an event to inspire, educate and empower fellow wildlife conservationists and to have a good brew at the same time. Question? Comment? 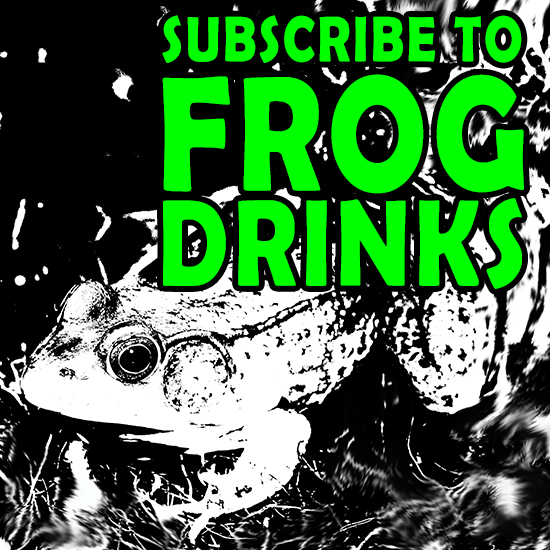 Want your organization featured at Frog Drinks? Contact us! See you at Frog Drinks! We Meet at First Magnitude Brewing Company Every 1st Thursday from 6-9pm! We meet, we learn, we network, we save wildlife and we drink beer! Frog Drinks!